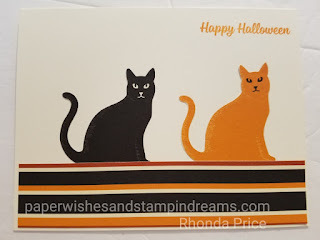 Super simple card today for those who don't have a lot of supplies. No die cutter needed. You can use the new Cat Punch in the new Holiday Catalog, but a pair of scissors is really all you need. 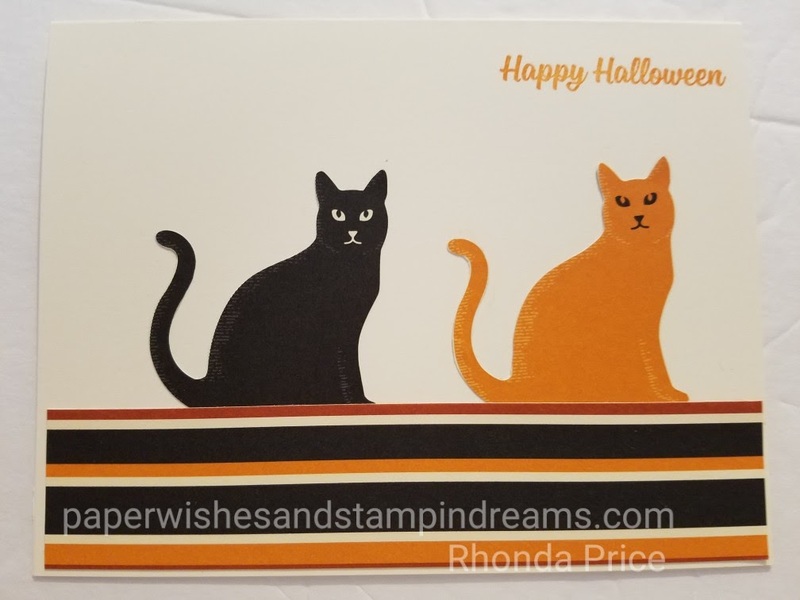 The strip and the cats are from the Spooky Night Designer Series Paper and the greeting is from the Spooky Cat Stamp Set. If you buy them together you can save 10% when the new catalog comes out. I will update with the product list when the catalog goes live.